Offering artists spectacular results that fire true consistently, Speedball’s Underglazes feature 24 intense colors, that are unmatched in vibrancy. Originally formulated to perform in a wide firing range, 05-6, Speedball’s Underglazes have been successfully fired at Cone 10. Suitable for use on greenware or bisque, each color produces a softer, velvety finish when left unglazed, and intensifies in richness when covered with a clear glaze*. 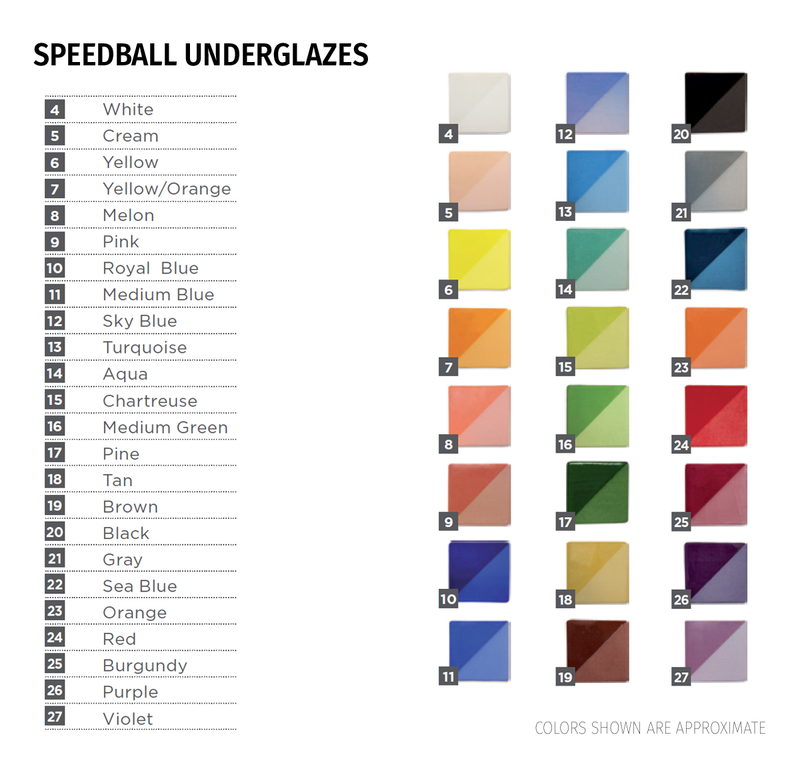 Trusted by some of today’s most well-known and acclaimed ceramic artists, Speedball Underglazes offer incredible quality at an unbeatable price—up to 54% lower than the leading brands. All colors are dinnerware safe when used and fired as directed, are lead-free and carry the AP Seal. 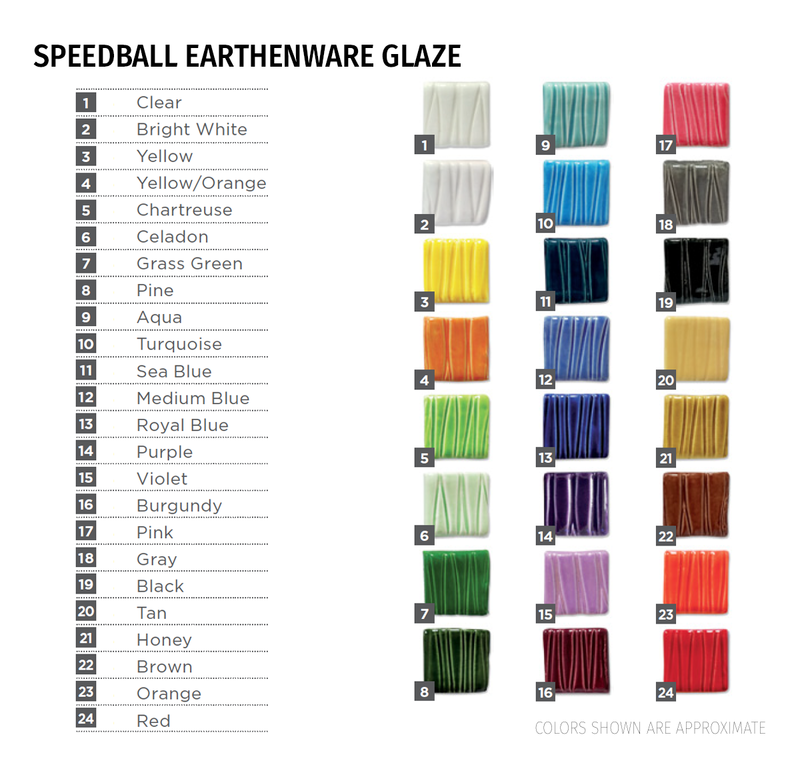 *For best results, use Speedball Clear Earthenware or Stoneware Clear Glaze with Speedball Underglazes. These liquid glazes are available in pint and gallon sizes across 24 vivid and brilliant colors that fire true consistently. Speedball® Earthenware Glazes are designed for use on pieces bisque-fired to Cone 04 and fire at Cone 05-06. All colors are dinnerware safe when used and fired as directed, are lead-free and carry the AP Seal. 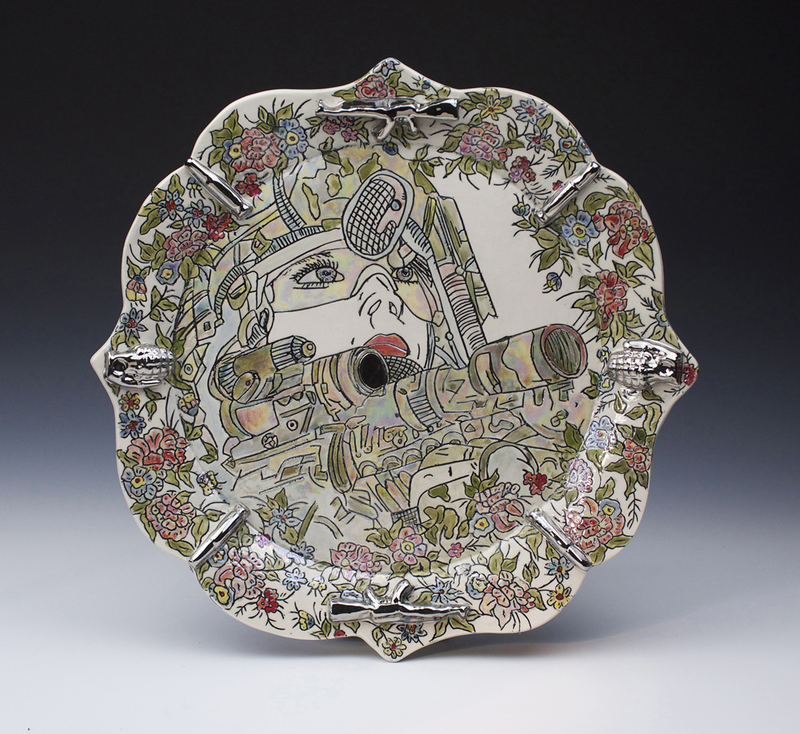 See a selection of our underglazes and glazes featured on the works of some of today’s most popular ceramic artists in the Speedball Ceramics Gallery or Professional Artist Network.